Graffiti is a stunning cauliflower variety. 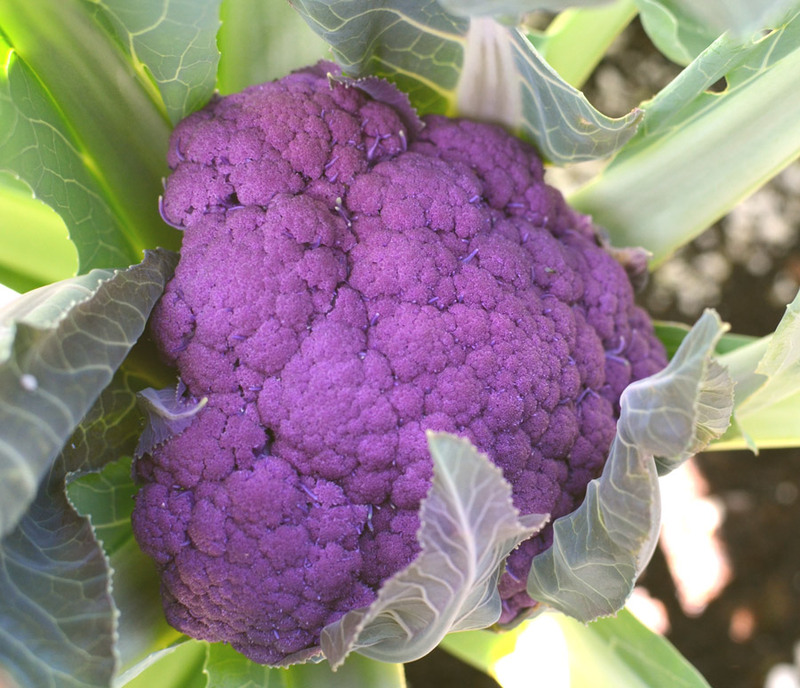 The mid-sized, eye-catching heads have smooth, tight curds coloured with rich purple tones. With sun exposure, the well-packed heads intensify their shade of purple so will require less wrapper protection than other varieties. The 2 lb flavourful heads won’t lose its unique colouring when cooked. This dependable garden performer is highly resistant to downy mildew, and is also able to withstand rainy and humid climates. Graffiti is an excellent fall crop but will also do well in the spring.